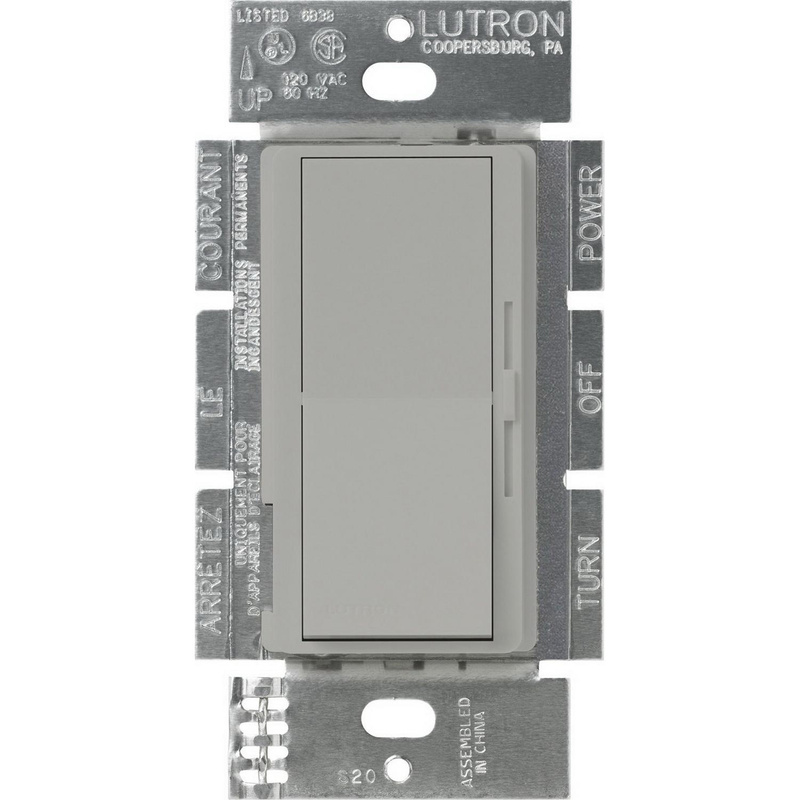 Lutron Diva® 3-Way Dimmer in gray color, features paddle actuator that allows to control the brightness of the light. It has voltage rating of 120 - 277-Volts at 50/60-Hz and 50-Milli-Amps/8-Amps. This 1-Pole wallbox mountable dimmer in gloss finish, measures 4.69-Inch x 2.94-Inch x 1.61-Inch. This dimmer has large paddle switch with captive linear slide control for standard designer-opening wallplate. This 0 - 10-Volt control link controls third party fixtures. Dimmer incorporates switching technology that extends product lifetime. High-end and low-end trim of the dimmer is user adjustable for optimal performance. It works with all ballasts and drivers that provide current source compliant to IEC 60629 Annex E.2. It compliments existing designer-style switches. This dimmer comes with built-in soft glow locator light that illuminates when the dimmer is in the OFF position. It is ideal for 0 - 10-Volt LED drivers and fluorescent ballasts. Dimmer is UL listed and CSA certified.